When Animals Mourn: Taking Solace From Knowing That Grief Is Not Uniquely Human : 13.7: Cosmos And Culture When animals die, their close relatives and friends may be plunged into mourning. Commentator Barbara J. 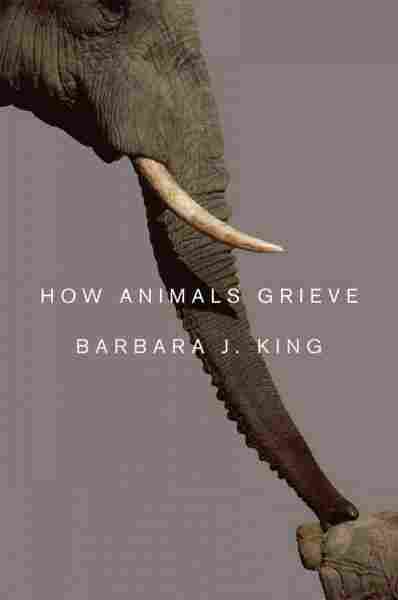 King writes about animal grief in her new book, citing examples seen in animals large and small. She finds solace in the knowledge that humans are not the only animals who feel loss. Eleanor was the matriarch of an elephant family called the First Ladies. One day, elephant researchers in Kenya's Samburu National Reserve saw that Eleanor was bruised and dragging her trunk on the ground. Soon, she collapsed. Within minutes, Grace, the matriarch of another elephant family, came near. Using her trunk, she pushed Eleanor back up to a standing position. When Eleanor, greatly weakened now, thudded once again to the ground, Grace became visibly distressed: she vocalized, pushed at the body and refused to leave Eleanor's side. When Eleanor died, a female called Maui, from a third elephant family, hovered over her body, pulling on and rocking over it. 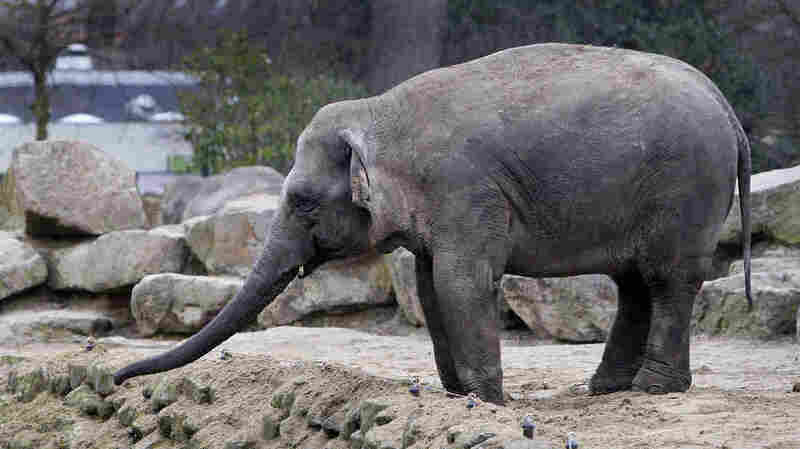 During the next week, elephants from five different families came to the body. Some individuals seemed motivated only by curiosity. But the behavior of others, including Grace and Maui, clearly involved grief. The breadth and depth of animal grief is the topic of my book How Animals Grieve, just published. Writing this book often moved me profoundly; through reading the science literature and conducting interviews with experienced animal caretakers, I came to understand at a new, visceral level just how extensively animals feel their lives. Elephants grieve. Great apes (think chimpanzees, bonobos) and cetaceans (such as dolphins) grieve. So do horses and rabbits, cats and dogs, even some birds. Here at 13.7, I often write about science books. So it's gratifying to write now about my own, especially this week when it's the focal point of a story in Time Magazine called "The Mystery of Animal Grief." The Time article includes the story of Eleanor. It mentions also the keening grief of the Siamese cat Willa for her sister Carson, which I described in one of my first posts for 13.7, back in 2011. As I've mentioned, it's not only the big-brained "usual suspects" — the apes, elephants and dolphins — who grieve. In this brief video produced at The College of William and Mary (where I teach), I describe what happened when one duck named Harper, rescued by and living contentedly at Farm Sanctuary, witnesses the necessary euthanasia of his best duck friend Kohl. Emotionally, Harper simply cannot recover from his loss. In our own lives, when it hits hard, grief can be a wild and terrible force. In another post to come, I will outline some ways in which I think human mourning and thinking about death differs from the grief of other animals. It won't ease our deepest grief to know that animals love and grieve too. But when our mourning becomes a little less raw... may it bring genuine comfort to know how much we share with other animals? I find hope and solace in [these] stories. May you find hope and solace in them as well.